Having lost original cast members Grace Park and Daniel Dae Kim earlier this month, after the pair’s attempts to negotiate equal pay with co-stars Alex O’Loughlin and Scott Caan were ultimately rejected by CBS, Hawaii Five-0 has refilled its roster with other, presumably less potentially expensive stars. 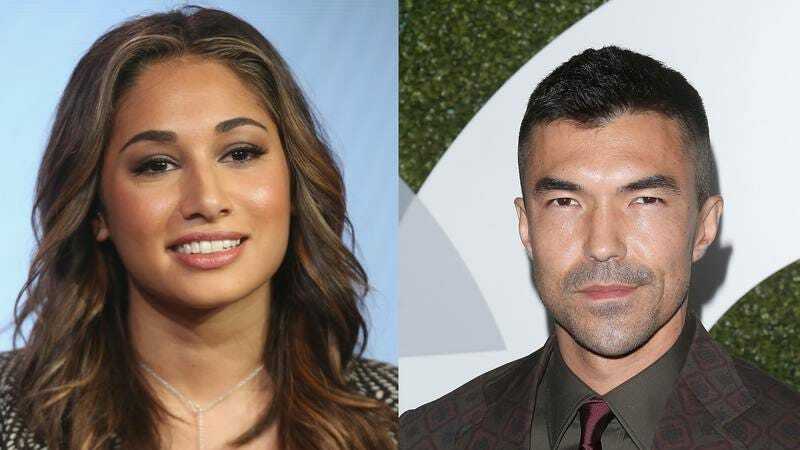 Deadline reports that the show has bumped Ian Anthony Dale up to series regular on the Hawaiian cop show, and added Meaghan Rath and Beulah Koale to its incoming ranks. Dale has been a recurring guest star on the series since its second season. (Somewhat awkwardly, his character, crime lord and informant Adam Noshimuri, is married to Park’s departing Kono Kalakaua.) Meanwhile, Rath—who’s probably best known for starring in the U.S. version of Being Human—will play a new rookie cop that O’Loughlin’s McGarrett discovers while she’s working as a lifeguard, and Koale will play a Navy SEAL hoping to apply his skills to the Five-0 team. Hawaii Five-0 returns for its eighth season on September 29.